Tokyo is a concrete jungle where we wear out ourselves every day. However in about 1 hour by train from Tokyo there is a mountain called Mt. 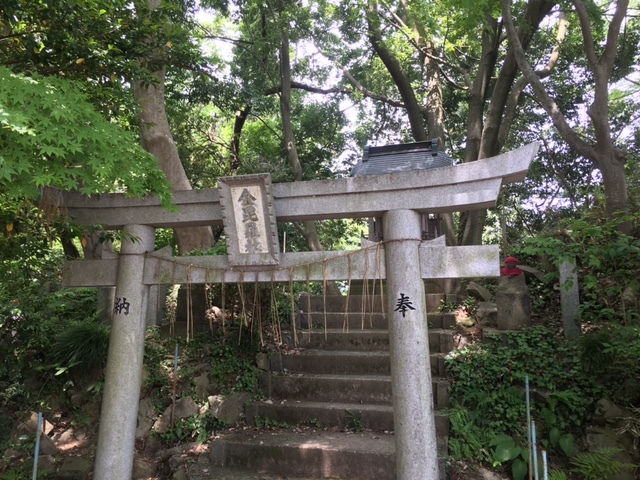 Takao, like an oasis in the jungle. As a former guide of Mt. Fuji, let me introduce this mountain as the most approachable mountain from Tokyo. 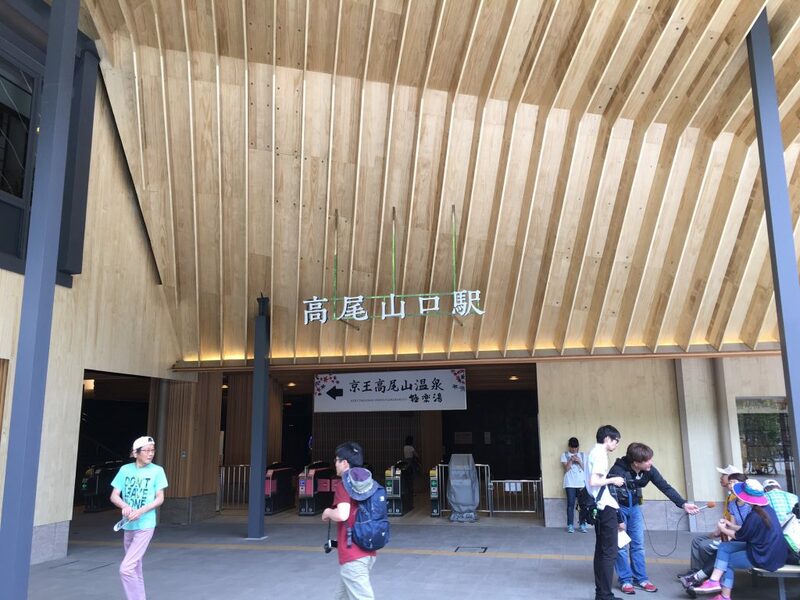 Once you get out of Takaosan-guchi station of Keio line, you see a map of six trails to the summit of Mt. Takao. If it’s your first time to Mt. 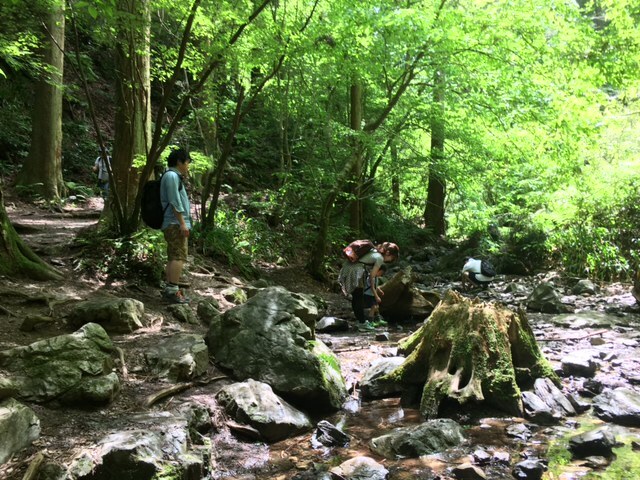 Takao, I recommend the trail No.1. This No.1 trail is a sightseeing course rather than climbing a mountain. Most of the trail is paved and the biggest number of hikers take this route among all 6 trails. So it’s difficult to enjoy quiet time in the woods. On the other hand, I recommend this route since you can understand the relationship between Japanese people and mountains. 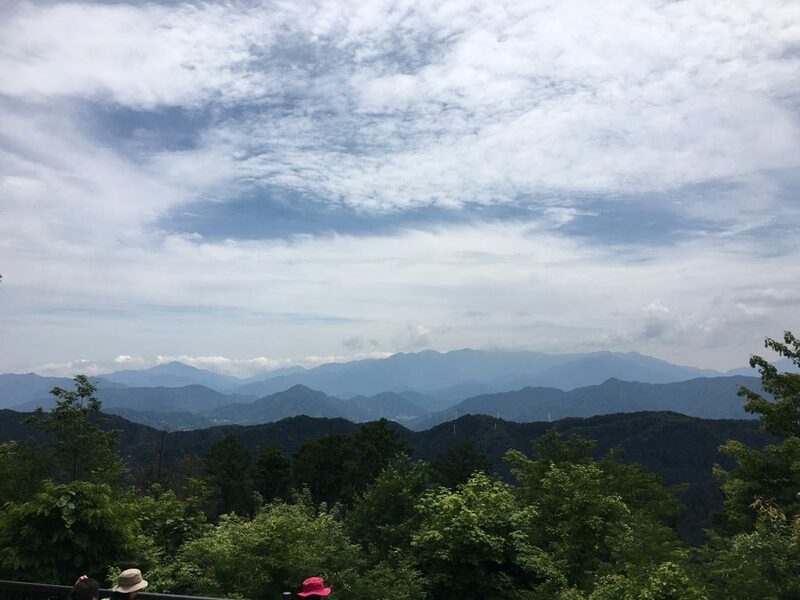 Traditionally for Japanese people who live close to mountains, high mountains were considered as a symbol of wild and harsh nature. Therefore they feared the mountains and made shrines to worship the mountains as a god and tried to calm down their anger. 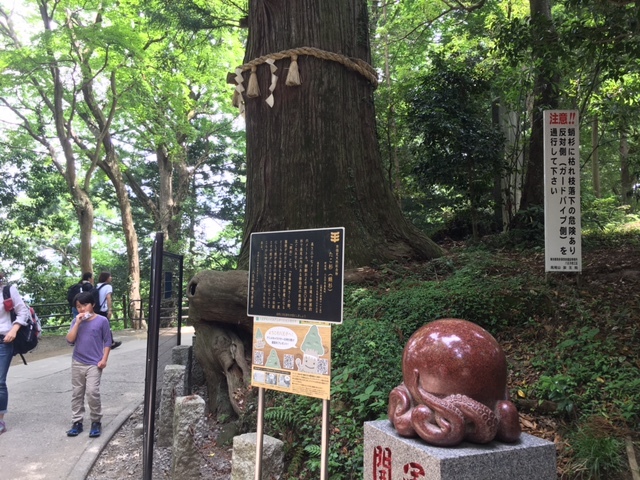 And a picture below is the oldest ceder in the mountain called Tako-Sugi (Octopus Ceder in Japanese). The name comes roots of the ceder which have grown up like legs of octopus. Japanese people in the past believed that such an old thing in nature could acquire supernatural power and worshiped it as well. And the symbol of gods in Mt. 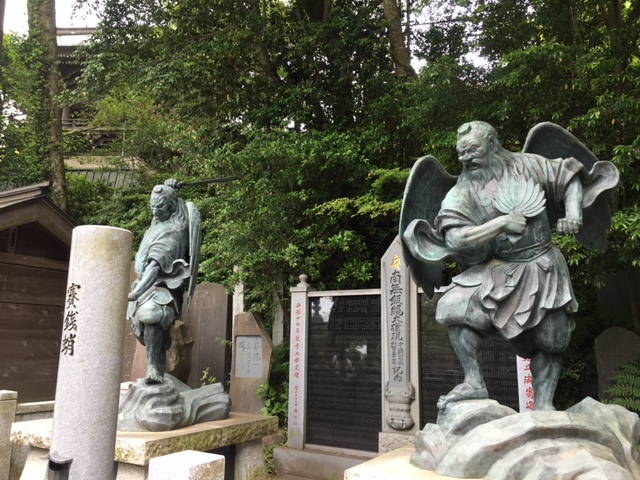 Takao is “Tengu”, a legendary creature which was sometimes considered as a god and was considered as a monster in other times in Japanese history. Tengu’s feature is red face and big nose and he can fly freely with a special fan. After 2 hours walk on the trail No.1 seeing these gods, you can reach the summit of Mt. Takao. In good weather, you can see a great view of both Tokyo, concrete jungle at one direction and Mt. Fuji, symbol of mountain worship at another direction. After enjoying the nice view, you can take another trail walking down to the entrance of the mountain. In order to enjoy Mt. 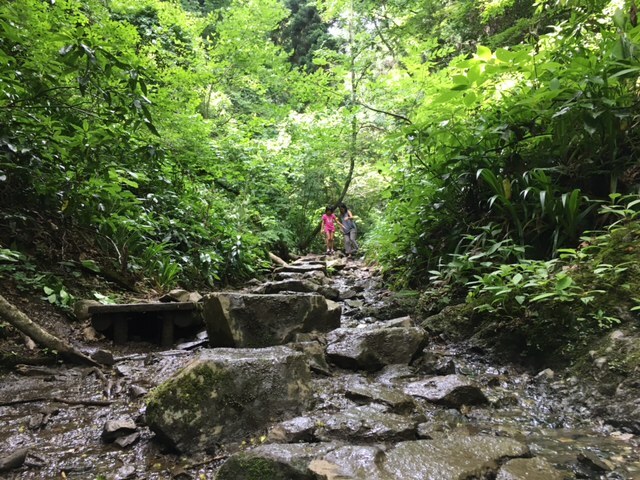 Takao, as a mountain, I recommend the trail No.6 where you walk along a stream. In contrast to the trail No.1, there are much fewer people. And you can enjoy peaceful atmosphere hearing sound of signing birds and streaming water. Nevertheless, even on this trail, you can see a spot which shows you how mountain worship was developed in the mountain. The stream along which you have just walked down becomes a waterfall. And waterfall is a place where mountain ascetics train themselves to reach enlightenment. By the way, if you can enjoy the mountain more easily and simply, there is a cable car from the entrance to the halfway point. And in summer season, they open a beer garden where you can enjoy Japanese beer with a great view of Tokyo. If you are interested, check out “Beer Mount” in their website (They have an English website !) below. Mt. 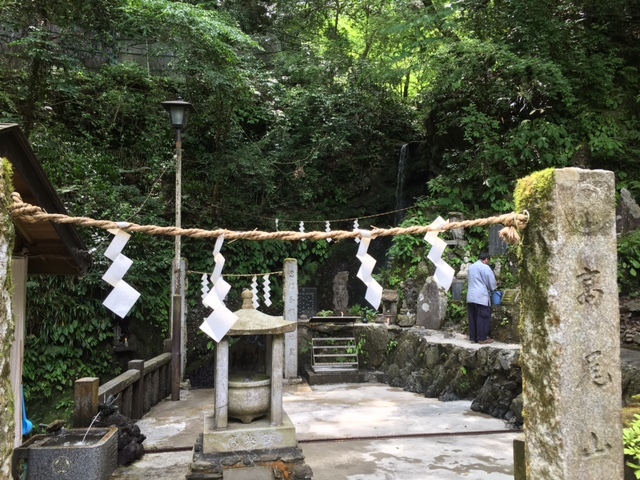 Takao is a great sightseeing spot where you can enjoy nature of Japanese mountain as well as understand traditional mountain worship in Japan with a day trip from Tokyo.